Some history for our new G-MAC brethren... When AB joined the G-MAC there were only three football playing members (AB, KWC and Central State). When Central State left the G-MAC to join the SIAC, that left just AB and KWC. In an attempt to add some excitement for those two remaining programs and to build a rivalry, the league decided to dub the annual meeting of the two schools the G-MAC Founders Cup. That also created one of the most interesting trophies I've seen. 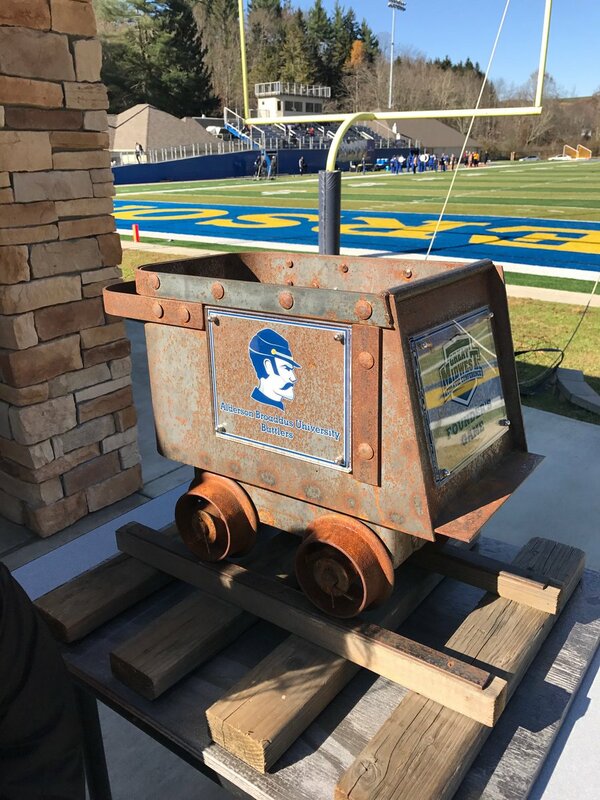 With West Virginia and Kentucky, both, being known for Coal production, it's probably fitting that the trophy is a 60 pound mining cart! AB won today's game and retain possession of that awesome trophy. Go Battlers! Last edited by crixus; 11-11-2017 at 04:39 PM.